Intelligent Design | J.W. Wartick -"Always Have a Reason"
Faith Across the Multiverse is a difficult book for me to categorize. Based on the title and cover blurb, it seemed a bit like another entry in the crowded field of basic science-faith works. It’s an interesting field, but one that has many, many entry points. Yet as I continued to read the book, I discovered an appreciation for the unique style and depth of discussion that definitely separates it from the pack. Walsh separates the book into four parts: The Language of Mathematics, The Language of Physics, The Language of Biology, and The Language of Computer Science. 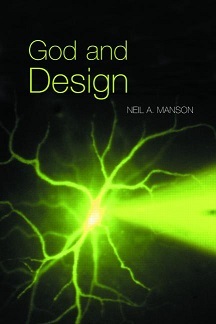 These titles might lead one to assume that this is (again) yet another book arguing for design or intelligent design. It is not. So it isn’t a broad introduction to faith-science issues, and it isn’t an entry level book on ID theory. What is it? It’s a kind of stream of consciousness look at several deep science-faith topics with some nerdy anecdotes and Biblical interpretation sprinkled in. That’s a mouthful, and that’s because this book is heady, much headier than one may expect. It grew on me more and more as I read it. Each chapter has some kind of theme woven through it, typically drawn from some part of nerd culture. For example, in chapter 7 Orphan Black, a Canadian science fiction drama that I’m currently watching myself, is used to talk about nature vs. nurture, DNA coding, the church body, and denominations. It should be easy for readers to see why the book deserves a careful reading. Yes, many, many topics are raised all at once, but Walsh does an admirable job tying them all together and relating them back to Christianity in realistic ways. It’s fascinating to read about Walsh’s thoughts on mathematics and see how he applies them to the Bible and Christian doctrine. This isn’t a kind of 1-to-1 correlation as if Walsh is arguing for some kind of biblical numerology–far from it. Instead, he uses physics, math, biology, and computer science to highlight reasons to believe as we do–and sometimes to challenge those beliefs. I noted already that the titles of the parts in the book make it sound like it’s arguing for Intelligent Design. It isn’t. Indeed, Walsh actually argues against the theory (though it doesn’t appear in the index) by noting how mathematical models can create seemingly infinite complexity without needing informational input. One example he uses is the Koch Curve, which is a phenomenally complex early look at a fractal that seems to create massive complexity through a very simple form (225ff). The Bible itself speaks to God using seemingly random things to generate information or to work for God’s ends (eg. the casting of lots) (p. 251-252). Evolution, he argues, doesn’t threaten God’s sovereignty any more than a seemingly unknowable outcome on our end (the rolling of dice) means God can’t design or control the process. The book is truly a monument of imagination, while being grounded in real outcomes, science, and math. It’s fascinating to see Walsh tie Ms. Marvel, the X-Men, or Mark Watney, the star of The Martian into real life scenarios and biblical examples. By my count, Walsh managed to reference 65 books of the Bible in the text, while also drawing in nerd references, Francis Collins, discussions of the soul, and more. I can’t really overstate how remarkable I find the fact that there is unity in a text like this, but Walsh somehow pulls it off and delivers a rather fascinating science-faith work. Andy Walsh’s Faith Across the Multiverse manages to distinguish itself by both the depth of its science and the fun of its references. It’s a surprising, thought-provoking work worthy of a careful read. I recommend it. Incidentally, I also found the book’s website as I wrote this review, if you’d like to explore further. Hugh Ross is perhaps the most well-known advocate of the position known as Old Earth Creationism today. He is the founder of Reasons to Believe, a science-faith think tank that centers on the OEC position. His works have been highly influential in my own life and faith journey. Although I no longer ascribe to Old Earth Creationism of Ross and Reasons to Believe, I have much respect for all those working at Reasons to Believe and appreciate their mission. The Creator and the Cosmos is one of the more broadly applicable books from Reasons to Believe because it focuses not so much on the concordism that defines their position but rather largely on the evidence for cosmic fine-tuning. The core of Ross’ argument in the book is the fine-tuning argument. Basically, this is the argument that certain constants about our universe are such that any minuscule change to them would mean our universe would no longer be life-permitting. Because there are so many of these factors, the argument goes, that chance is not the best explanation for our universe. Instead, some kind of being that can act on our universe is posited as the best explanation. Ross begins his work with an autobiographical account of how he became interested in astronomy. His own interest in the night sky led to him deciding to go through the holy books of various religions to see if any aligned with what science has revealed about our universe. His search culminated in the surprising discovery that, he believes, the Bible actually taught first what science has now revealed. This is one of the central aspects of the Reasons to Believe model: the belief in concordism. Concordism is the idea that the Bible and science will not just operate alongside each other but rather confirm and interlink with each other. Thus, as Ross argues, the Bible speaking of things like the stretching out of the heavens (Psalm 104:2, for one example) is said to be not just metaphorical language but rather literal language about the creation of the universe through the Big Bang. It is in the chapter entitled “The Bible Taught it First” that I find the most with which to take issue in the book. For almost the entirety of my life, I, too, ascribed to concordism, but as I have read more and more I think that it is not what the intention of the Bible is at all. The Bible is not a science textbook, and simply finding a few isolated sentences that seem to correspond to 21st century science does not demonstrate that it is scientifically advanced. Indeed, as many a skeptic would gleefully point out, there are many points in the Bible which seem to speak about the sky as a solid dome or the literal rising and setting of the sun. Groups like Reasons to Believe work to show how these are actually non-literal language or merely figures of speech, but to me this seems ad hoc. The approach seems piecemeal and the idea that the heavens stretching out “like a tent” is meant to teach Big Bang Cosmology is a tenuous link, at best. After all, if the Bible intended to teach Big Bang Cosmology, would it not be quite simple to do so rather more explicitly than an allusion here and there? It seems to speak rather directly about creation, after all. Instead, it seems that writers like John Walton are more on point when they note that the authors of the Bible had background scientific beliefs of their Ancient Near Eastern times, but that the Bible is not intentionally teaching any kind of cosmology. Instead, it is teaching about the ordering of the cosmos by God as creator. This approach allows readers to avoid the difficult questions raised against concordism regarding the difficult passages about creation, while also not completely divorcing it from reality. Apart from this allegiance to concordism, the rest of the book is almost entirely focused on scientific discoveries of the past hundred or so years regarding the universe. These are covered in some detail, but Ross does a good job covering these discoveries in such a way that they will be generally understood by most readers. Time and again, he shows that major discoveries seem to show that the sheer improbabilities involved in our life-permitting universe undercut the notion of chance as an explanation for reality. These are cosmic-scale fine tuning arguments. They don’t rely on anything related to evolution or anti-evolution. Instead, the things Ross focuses on in this book are all large scale discoveries and constants that impact our universe writ large. A lengthy appendix summarizes much of this evidence, and going through that appendix shows that time and again our universe falls within an extraordinarily limited range for life to exist. I do still feel some caution, however, even regarding the fine-tuning argument on a cosmic scale. Though many skeptics have acknowledged it to be perhaps the strongest argument for theism, I am wary of completely aligning ourselves as Christians to any scientific view of the day. After all, many are positing oscillating universe models or a big crunch as another possible alternative to a Big Bang and heat death of the universe. Yes, Ross does deal with these alternatives, but as with so many things in science, we can only hold the conclusions as strongly as the evidence allows and we are a single future discovery away from something that overcomes the problems Ross raises with these models. Is it possible that Big Bang cosmology is entirely correct? Absolutely, and it certainly seems to be the strongest model. But I don’t want to base my entire defense of the Christian faith on that. Indeed, I’d rather base very little on it. The Creator and the Cosmos is a truly marvelous book for learning about the fine-tuning of the universe. Though I have noted my wariness of Ross’s concordism and of other potential pitfalls, I do think that overall, Ross makes a strong argument. As a non-expert in science, it is very impressive to see one piece of evidence after another appear to confirm fine-tuning of the universe. Time, and future discoveries, will tell whether the fine-tuning argument carries the day. As it stands, I believe it is but one piece of the total Christian apologetic, and this book will help Christians in that regard. Undeniable: How Biology Confirms Our Intuition That Life is Designed by Douglas Axe is an explanation of Intelligent Design theory at a lay level. Axe contends that by appealing to “common science”—the notion that experience is integral to how we live and that each individual is, in a sense, a scientist because we use experience to make models and figure out how things work (60-61)—the inference to design will be vindicated. A central aspect of Axe’s case is appeal to what he calls “The Universal Design Intuition” defined as “Tasks that we would need knowledge to accomplish can be accomplished only by someone who has that knowledge” (20). This intuition, argues Axe, is supported by experimental data, including difficulties with forming proteins to form specific chemical transformations (33ff). He also utilizes mathematical modeling to show that it is effectively impossible to achieve certain results purely by chance (89ff). It is insight that is required to achieve the results that we see in biology, he argues. There is no amount of repetition possible to offset the improbability of life in our universe and life as we see (103). Counter-arguments to design are addressed, including the multiverse. Axe argues that “aimless wandering” of chance effectively means that anything but design for the results we observe is impossible. There is a specific “target area” which must be achieved to get life, and the odds against hitting that target are infinitesimal to the point that they are practically impossible (113ff). Ultimately, Axe concludes, “Functional coherence makes accidental invention fantastically improbable and therefore physically impossible” (160). The sheer improbability stacked against the notion that life could evolve functionally to new life forms makes it physically impossible, thus showing that design is the best inference when it comes to life. Scenarios which are alleged to show evolution in action require tweaking from outside, thus demonstrating that insight and design are required for life (198ff; 209). Moreover, “Nothing evolves unless it already exists” (214), and the existence of life cannot merely evolve from non-life given the probabilities stacked against it. Why, then, do so few scientists advocate for design or see it in nature? Axe’s answer to this question is that there is enormous bias and no small amount of power being wielded against the design inference: “Harm comes to science not by people hoping to find a particular result but by people trying to suppress results that go against their hopes” (45). He argues that there is at least some intentional suppression of design theory and that new ideas take time to gain space in academia (46ff; 215ff). Axe’s argument is geared towards lay readers, though it does have a few new things to offer those who have read the majority of ID literature already. His analysis of the mathematics behind design inferences will help gain an understanding of what is meant by “possible” in logical vs. physical senses. Moreover, his firsthand experience of experimental confirmation gives him a voice that is not often heard in defense of ID. It is not merely modeling that is happening, but rather experimentation with results. That said, there are a few issues in the book. First, I think that the continued appeal to bias as the reason for rejecting ID is overdone. Although some certainly do reject ID due to bias against the notion of a creator or designer, there are many who reject it because they find its arguments either inconclusive or mistaken. Bias exists, but it is not the only reason for rejecting ID theory any more than materialism is the only reason for rejecting ID. Second, evolution is treated as a kind of singular entity, with natural selection as the only mechanism proposed to accomplish the diversification of species. Though he acknowledges some efforts to modify evolutionary theory that acknowledge other mechanisms (220-224), he dismisses such efforts as “patching holes” instead of as serious alternative proposals. I admit I have no expertise in evolutionary biology, but I am familiar enough with the idea to know that several different notions of how evolution may produce new life forms are proposed, and that most acknowledge some combination of several factors is probably right. It seemed strange for Axe to largely dismiss these as dead ends. Third, there are several points of the argument that seemed rushed or simply passed by. I understand this is a book for laity, but the movement from seeing some aspect of evolution as physically impossible to design is an inference that requires some explanation beyond assertion. Overall, Undeniable provides more food for thought for those interested in Intelligent Design and the debate between ID advocates and opponents. Axe does offer some insights that I, at least, haven’t read anywhere else. The book is also written at a level that almost any reader could pick it up and get the core of Axe’s argument. Those interested in the debate over Intelligent Design would be well-served to pick up a copy. I will be interested in seeing what responses are offered. Douglas Axe, Undeniable: How Biology Confirms Our Intuition That Life is Designed (New York: HarperOne, 2016). Disclaimer: I received a copy of the book for review from the publisher. I was not obligated to provide any specific feedback whatsoever. The Grand Canyon: Monument to an Ancient Earth is one of the best analyses of young earth creationism on the market. In this beautifully illustrated text, the Grand Canyon is used as a test site to analyze Flood Geology, the notion that Noah’s Flood radically shaped the face of the Earth and can account for much of the sedimentary layers we observe. The Grand Canyon is an especially appropriate test case because there are young earth creationist (hereafter YEC) books published on the Canyon, and many YEC works reference the Grand Canyon in explanations of their theories. Part 1 outlines two views of the Grand Canyon: that of flood geology, in which the vast majority of the Canyon’s sediment was laid down during Noah’s Flood; and that of conventional geology, in which long time periods and observable, repeated processes can account for the Canyon. This part includes chapters contrasting the time frames of flood geology and conventional geology, showing the massive difference between the two views conclusions about how the Canyon formed. Part 2 is entitled “How Geology Works” and covers things like sedimentary rocks, plate tectonics, and time measurements. Part 3 looks at fossils and what they tell us about the age of the Grand Canyon. Part 4 surveys how the Grand Canyon was carved. Part 4 gives a verdict on flood geology from the evidence provided. The authors provide an introduction to geology generally speaking, and then focus what is covered onto the Grand Canyon. Throughout the whole book, the Grand Canyon serves as the testing ground for what modern geology teaches about the Earth. Then, it is contrasted with what YECs claim about the age of the earth and the processes that formed it. Time and again, this shows that YEC claims are found wanting. The chapters on fossils are particularly telling in this regard. For example, Joel Duff demonstrates, in “Tiny Plants – Big Impact: Pollen, Spores, and Plant Fossils” that there are entire, massive chunks of sediment without any pollen or plant spores contained therein. And these layers aren’t just randomly distributed; they’re in the oldest layers of the rock, such that it demonstrates what conventional scientists have claimed, that there simply were no pollinating plants long ago. But if flood geology is to be believed, these sediments were laid down during Noah’s Flood, which would have entailed all kinds of mixing of dead plants and animals as the surface of the Earth was radically changed. How then, are there thousands of feet of sediment without any pollen? How did microscopic plant matter manage to get sifted out in such a clear distinction from other layers? This is the kind of in-depth look at the specifics of flood geology that abound everywhere in the book. YEC arguments are subjected time and again to direct refutation like this, making the book invaluable. The book is also valuable simply as an introduction to geology as well as some biology and other sciences. I learned an extraordinary amount from the book, and I feel fairly confident that I had a working knowledge of geology. In other words, the book is not simply a refutation of flood geology in the Grand Canyon, it can also serve as a valuable introduction to several related topics. I would be remiss if I did not call out the beauty of the book. There are breathtaking full-color photographs of the Grand Canyon throughout the book, accompanied by numerous graphs and charts. But these illustrations do more than just look pretty, they are almost always explicitly tied into the text in meaningful ways. I found myself thoroughly poring over each and every one, whether I was looking for the division between layers of rock in a photograph or flipping back to a chart repeatedly as I came to understand it better. These illustrations are perhaps made more impressive by the modest price of the book ($26.99 regular price on Amazon). Simply put, you can’t get books with this much information and as beautifully put together as this for that price, yet here it is. There are only two minor points I’d like to mention as negatives, but they are closer to nitpicking than anything else. First, although the introductory chapters (and a few other places) note that the young earth creationist arguments about the Grand Canyon are scientific and expressly stated as being testable, I suspect many YECs will respond to the book by appealing to some presuppositional theological perspective. Though this would be a mistaken response, it would have helped the book to perhaps include one chapter showing how the YEC claims about the Canyon are inherently scientific and can be tested without a specific theological narrative. Again, this point is made, I just think it could have been elaborated a bit more. Second, there was the briefest mention of one of the most popular arguments for Intelligent Design, that of the Cambrian explosion. The mention was so short that it is difficult to see what the authors were intending. I have read dozens, perhaps hundreds of books on the debate over science and religion. That said, The Grand Canyon: Monument to an Ancient Earth is a remarkable achievement. It provides some of the most thorough, in-depth analysis of young earth creationist reasoning that is available to date. It is beautifully illustrated with photos and charts that are directly related to the text, and it is reasonably priced. If you’re looking for analysis of flood geology from a scientific perspective, this book gives you the perfect test scenario. I cannot recommend it enough. Disclaimer: I was provided with a review copy of the book by the publisher. I was not required to provide any specific kind of feedback whatsoever. The Grand Canyon: Monument to an Ancient Earth (Kregel, 2016). Sunday Quote!- Methodological Naturalism Makes a Farce of Empirical Investigation? Methodological Naturalism Makes a Farce of Empirical Investigation? The point that is being made is that methodological naturalism is itself a limiting factor imposed upon scientific inquiry, rather than something that is required for scientific inquiry. I sympathize with this critique, to be frank. Whatever one thinks of the merits (or lack thereof) of the notion of intelligent design, I think that the sheer possibility of using inference to best explanation to detect intelligent agency is not itself anything to undermine scientific inquiry. Indeed, why should said inquiry be limited unnecessarily? Reject those theories which do not have the evidence to support them; but I don’t think we should do so simply by ruling out some varieties of theory a priori. Debating Darwin’s Doubt has been an intriguing read so far. Paul Nelson, “Methodological Naturalism: A Rule That No One Needs or Obeys” in Debating Darwin’s Doubt edited David Klinghoffer (Seattle, WA: Discovery Institute Press, 2015). “Debating Darwin’s Doubt” – A Response to the Doubters? A new book is coming out from the Discovery Institute, a think-tank that explores issues of Intelligent Design. 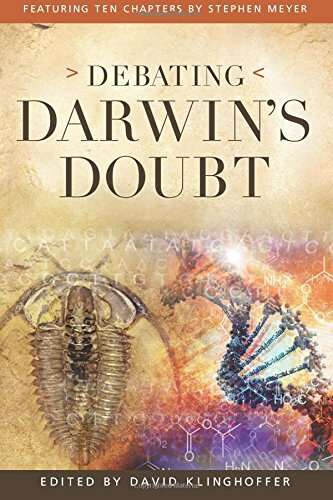 It is entitled Debating Darwin’s Doubt and basically offers a set of essays on Stephen Meyer’s work, Darwin’s Doubt, itself a pretty massive treatise arguing for the viability of Intelligent Design. The book has 44 essays in it, some of which are only 3-4 pages long. Others are lengthier, the longest being 18 pages (based on my quick glance at the table of contents). I’m concerned that so many of the essays are so short. I know from experience that packing a bunch of detailed argument into that small a space can be extremely challenging, and it would be a shame if we don’t get substantive responses to the criticisms offered by so many varied sources to Meyer’s argument. I’m concerned that there are already reviews on Amazon from people who haven’t even read the book complaining about the selection of authors or calling it pseudo-science. Regardless of one’s view on this debate, should not a “review” be a legitimate interaction with the text rather than just offering an opinion on the topic? I hope that the book spurs discussion rather than shutting it down. Too often, debates over intelligent design turn into name-calling fests on both sides. I sincerely doubt that’s at all what this book will do. Instead, I’m hoping that the book’s publication will lead to more fruitful discussions about the possibility (or not) of biological intelligent design. I hope that the book will garner wide readership and so provide means for intelligent discussions on the topic to continue, and new research opportunities to be explored. Well, I’m hoping to read the book when it comes out! I’ll certainly post on it when I get to it. 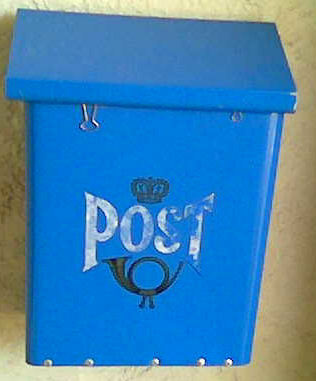 I would love, in the meantime, to read your own thoughts as it comes out, or on what your own hopes and concerns are. I found Ratzsch’s argument to be interesting, though I’m not sure how it is supposed to impact arguments over design being present in biology. His essay is short and focused on the question of design-as-perception, but he never provides a mechanism for how, exactly, one is supposed to develop that concept into something like a biological design argument. It is very difficult to determine how one might proceed along those lines. I’m sure Ratzsch has some ideas of how it might work, but without any hint, we are left to wonder what such a design argument might look like. Would it really come down to an appeal to someone to sit down, look at something as intricate as the cell, and hope that the “scales will fall from his or her eyes”? It seems that is the direction Ratzsch’s insight would take us. However, elsewhere in the same paper (132-134) it seems he suggests there can be some relation between inference and perception, but that perception is the “base level” experience of design. One might argue that a reduction to design-as-perception would be a step back for those trying to make empirical arguments for biological design. Perhaps, however, it could be something added back into broader design arguments. Surely, we as Christians believe that the “heavens declare [God’s] handiwork” (Psalm 19). Maybe it is time to allow nature to do some of that declaring; even alongside empirical arguments. What do you think? How might the notion of design-as-perception help us develop design arguments? Is it helpful at all? Should we reduce design arguments to perceptual arguments? Del Ratzsch, “Perceiving Design” in God and Design ed. Neil Manson (New York: Routledge, 2003). Really Recommended Posts 9/5/14- Jesus’ resurrection, logical fallacies, and more! Well depending on if my child comes on time, I may currently be in the hospital with my wife and a baby being born today, as it is our due date! Thus, I may not respond right away to any comments. On the other hand, I may just be hanging out waiting for the baby (or he or she may come early!). So long story short keep my family in your prayers, if you please. This week’s posts include Jesus’ resurrection, logical fallacies, “The Unbelievers” movie, Michael Behe’s design argument, and Rob Bell and Oprah Winfrey. Prior Probability of the Resurrection– David Marshall presents a lengthy argument related to the prior probability of the resurrection of Jesus. This argument is very important, and Marshall’s approach is one of many leading ways to argue for the truth of Jesus’ resurrection. This article has much depth and is worth the read. How Not to Argue: The Problem of “Folk Fallacies”– It is easy to fall into the trap of Googling random fallacies and charging others with committing these errors. Here, some difficulties with pointing out an alleged stream of fallacies are pointed out. It’s a good post for apologists to consider. Are “The Unbelievers” Unbelievable?– Here, Saints and Skeptics addresses several issues of “The Unbelievers” film, including its method, arguments, and conclusions. A Pretty Sharp Edge: Reflecting on Michael Behe’s Vindication– Michael Behe’s argument for intelligent designed is based upon the concept of irreducible complexity. Check out this post which argues that his argument has been vindicated. Rob Bell, Oprah Winfrey, and the missing Jesus– What happens when Rob Bell meets Oprah Winfrey? Check out this post for some interesting thoughts on the missing Christ in the conversation. See my own series of posts on Rob Bell’s Love Wins for some more reading. Really Recommend Posts 6/27/14- Bible Literacy Quiz, YA Lit, and more! Another week, another slew of posts for you to add some extra reading to your plate! This time around, we have a comic about self-deception, a quiz for you to test yourself, some young adult literature, and more! Let me know what you thought of the posts, and if you liked them, let the authors know on their blogs! How to Spot a VBS Volunteer (Comic)– I found this hilarious because it speaks so well of my time as a VBS Volunteer many moons ago. I had an absolute blast though, which is something left off the comic. There’s a reason we keep going back: we love the kids, we love what we got to do, despite our eyes twitching from the caffeine (my preferred stimulant was Mountain Dew). Do you have a fun VBS Story? Share it below! [Not your Sunday School’s] Biblical Literacy Quiz– Speaking of VBS, how about brushing up on some Bible literacy questions? Warning: this won’t be as easy as just answering “Jesus!” every time. Post your grade here! Let’s have some fun with this and maybe motivate ourselves to read more. Why Neil deGrasse Tyson should stick to science– The host of “Cosmos” has attempted ironic philosophical critiques of philosophy, metaphysics, and more. Here’s a post arguing he should stick to science–if that. Common Routes to Self-Deception (Comic)– Do you catch yourself following one of these common paths to pulling the wool over your own eyes? How might we work to prevent self-deception? Check out this thought-provoking comic. Steelheart: Helping Heroes Along– Brandon Sanderson’s latest YA literature has people abuzz. For good reason? Check out this analysis from a worldview perspective by Anthony Weber. Darwin’s Finches Show Rule Constrained Variation in Beak Shape– Here’s some heavy reading for you. Could it be that variation operates through certain constraints? What might this imply for evolution? What do you think? Ben Bova is a six time winner of the Hugo Award. His books hit best seller lists, and he is acknowledged as one of the all-time masters of science fiction. I’ve already explored several themes found in one of his latest books, New Earth. Here, we will look at how one might view the book as a fictionalization of the way to discover intelligent design in unexpected places. I should note that I am highly doubtful that Bova intended the book to be viewed through this lens, which makes the discovery of such a possible theme more surprising. There will be SPOILERS in what follows. When a team from Earth discovered the planet they dubbed “New Earth,” it defied explanation. Between a pair of stars, one of which went nova in the relatively recent past, the timing was off for such a planet to exist. The strangeness of the planet only increased when life was discovered on its surface. Finally, when intelligent life in fairly similar form to humans greet the human visitors in English, the astonishment of the explorers is complete. But of course that’s not all that is strange about the planet. Under the surface it is actually hollow, with metal mantle that contains a gravity generator. Each of these aspects ultimately leads to the inescapable conclusion: the planet was designed for life, specifically life like that of Earth. The revelation comes from a Precursor–an ancient, sentient machine–the planet was designed to lure humans into first contact so a message of coming destruction could be delivered. The planet and the life on it were indeed designed with purpose. The eeriness of the situation is, in fact, telling. In New Earth, when things show up with unexpected parameters or where they “should not be,” it is reason for further scientific exploration. Ultimately, this exploration yields the conclusion of design. I must emphasis this aspect of the book: design is not a hypothesis excluded at the outset. Instead, it is the logical outcome of putting the disparate pieces of evidence–unexpected location, age, life, types and forms of life, breathable atmosphere, hollow planet, etc.–together. Put this in perspective: today one of the major critiques against the notion of “intelligent design” in the origins of life, its diversity, or our universe is that, essentially, one must have an a priori commitment to reject such intelligent causes as some kind of primitive magical reality in which people believe anything. However, in New Earth, epistemic openness to the possibility of design leads to real scientific discovery… of design. I can’t help but think there is something informative here. The notion that scientific hypotheses must, by definition, exclude design not only would–if consistently practiced–remove any notion of agent causation from any situation (such as a human doing something), but could also hamper actual discovery. Methodological naturalism–the notion that science must operate in such a way as to exclude the possibility of agency–could actually be limiting the scientific enterprise. This is not to say that any unexpected observation should immediately be credited to design. Rather, my point is that if design is the most plausible of competing hypotheses, there is no reason to exclude it from the realm of possibility. New Earth provides just such an example of how, ultimately, design was a better operating hypothesis than rival theories. When the explorers initially discussed the strange circumstances in the planet (specifically its seeming impossible location), one character remarked that [paraphrased] “It’s here! The models must be wrong!” Ultimately, this exclamation was shown to be incorrect: the models remained correct but did not account for the possibility of design. One might note that Bova’s work perhaps shows the disjunct between design and naturalistic process. The juxtaposition of New Earth and its unexpected location, age, flora, and fauna against Earth’s more “typical” age and location provides readers with a reduced sense of the wonders of Earth. Moreover, in Bova’s broader canon, even Mars at one point had intelligent life upon its surface. However, one must look to Earth and consider what we actually do observe rather than simply declaring that Earth “is here” so it must have gotten here through naturalistic means. Does Earth (or our universe) provide evidence for the hypothesis of design? That is, is design a more plausible explanation than naturalistic explanations which are offered? That’s a question which will take much exploration. A Solar System and Cosmos Filled with Life?- A reflection on Ben Bova’s “Farside” and “New Earth”– I explore the notion that life should be expected all over the place in a post that looks at some of Bova’s most recent works. Our Spooky Universe: Fine-Tuning and God– Here, I present evidence that our universe indeed has been designed. “Fitzpatrick’s War”- Religion, truth, and forgiveness in Theodore Judson’s epic steampunk tale– I take a look at the book Fitzpatrick’s War, a novel of alternative history with steampunk. What could be better? Check out some of the worldview issues brought up in the book. I have discussed the use of science fiction in showing how religious persons act. Check out Religious Dialogue: A case study in science fiction with Bova and Weber. 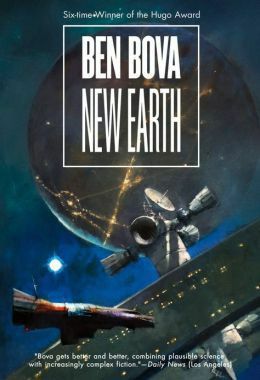 Ben Bova, New Earth (New York: Tor, 2013).